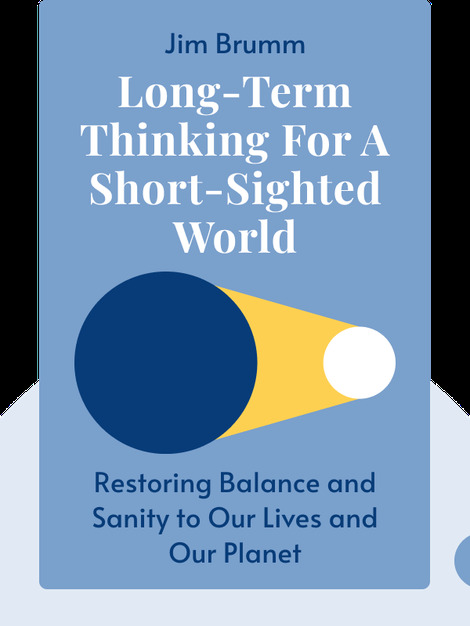 Long-Term Thinking for a Short-Sighted World (2012) reveals the root of many of the world’s problems: our own short-sightedness. From climate change to rampant consumerism and oil depletion, find out how many of the challenges we face today are the result of our inability or unwillingness to see the big picture. These blinks will set you on the path to thinking about the long-term consequences of the actions we take. 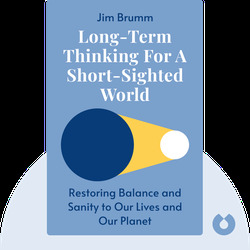 Jim Brumm has over 25 years of experience as a writer and editor at magazines, newspapers, a web design firm and an environmental restoration business. He currently lives in Santa Rosa, California, where he works as a freelancer and musician.